Observations of transits of Venus do not present major technical difficulties but it is absolutely essential to respect the basic rules for protecting your eyes - see the safety guidelines . 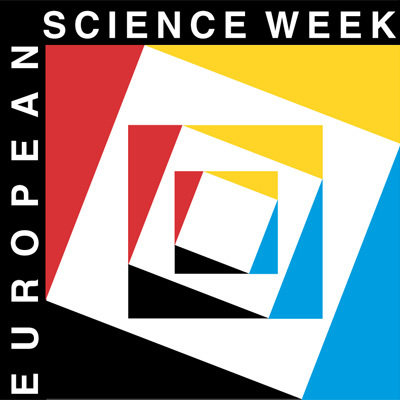 The beauty of this natural phenomenon will be appreciated better with the help of an optical instrument (such as a pair of binoculars, a small refractor or a telescope). In any case, the Sun's light must be filtered to reduce its luminosity one hundred thousand times in order to avoid damage to the eye. All observers must be extremely careful because without proper protection there is a real risk of burning the retina and causing complete blindness. There is no danger if you follow the instructions described here. However, please note that the VT-2004 organizers will accept no responsibility for any injuries that may be caused by your participation in this programme. The apparent diameter of Venus on the solar disk will be about 1/32 of the apparent solar diameter. The phenomenon is therefore easily visible with the naked eye through safety glasses, specially designed for that purpose . Always remember that direct observation of the Sun is dangerous. It is essential to filter and attenuate the ultra violet, visible and infra red light. The only recommended protection is a pair of solar eclipse glasses, EEC certified and made from Mylar or black polymer sheets of neutral density 5 or above. This simple method is strongly recommended , because several people can observe simultaneously around the instrument without any danger. 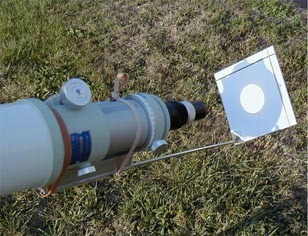 It consists of using the eyepiece of the refractor as a projection lens (see picture above). In order to form a solar image on a white screen, the eyepiece is moved slightly outwards so that it will work exactly like a magnifying lens. 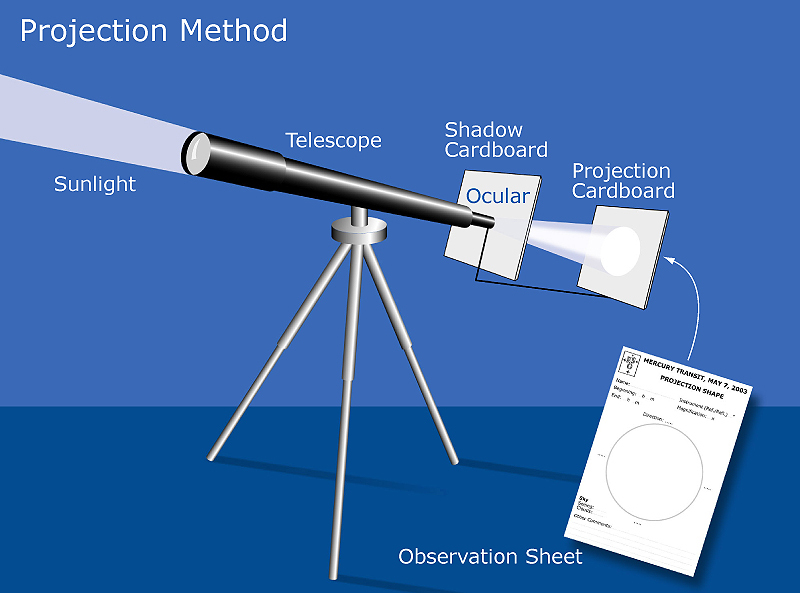 The beam can be reflected downwards with a flat mirror or a prism to make viewing easier. Be careful of the light beam (do not put your eyes into the beam!). These and other observational methods are discussed in a more detailed way in the associated Extended InfoSheet.